1. Establish a realistic holiday budget. Although two-thirds of consumers create a budget for holiday spending, they exceed that budget because they overlooked something or underestimated costs. If you are going to stay within your budget, it has to be comprehensive and realistic. Start by making a list of holiday spending, including meals, home decorations, travel costs, special events and activities, and any other expenses. When making out your gift list, try to be realistic about who should receive a gift and how much you want to spend, and be sure to include Secret Santa. A lot of holiday overspending comes from buying more gifts or more expensive gifts than planned. You might even consider allocating additional cash for unplanned expenses. 2. Maintain a holiday savings account. Once you establish your holiday budget, you need someplace to stash your cash until you are ready to start shopping. The easiest way to save is to maintain a savings account and set aside a predetermined amount that you will deposit every month. Most savings accounts will allow you to set up automatic cash transfers so you won’t forget to feed your holiday fund. iQ Credit Union offers an Easy Saver plan, for example, that rounds up debit card purchases to the nearest dollar and puts the change in your savings account. 3. Plan ahead and shop all year. Smart shopping can help your holiday budget go a long way. Many consumers see Black Friday as the kickoff for the holiday shopping season. In fact, Deloitte’s annual holiday forecast predicts that during this holiday season, retail sales will rise between 5 and 6 percent, and online sales will increase between 17 and 22 percent. This is not necessarily the season for the best deals, no matter what the ads tell you. Look for better deals throughout the year. For example, January is a good time to buy winter clothing and Memorial Day tends to have the best deals on appliances. Cyber Monday spending is starting to outpace Black Friday as more people are ordering their gifts for the holidays online. In 2017, Cyber Monday spending was over $2 billion in 24 hours, which is a new record. When shopping online, be sure to take advantage of money-saving tools such as Camelizer and Honey, which track discounts for online goods. Be sure to keep track of what you spend and match it to your holiday budget. If you find you are overspending, you are going to have to make some adjustments. If you have trouble tracking your holiday spending, there are tools that can make it easier for you. Personal finance software such as Quicken can help you keep track of your money and there are a number of smartphone apps that can help you manage your spending. These are just a few strategies that can help you manage your holiday spending and get more for your money. Managing your holiday budget shouldn’t be any more difficult than managing your household budget, but you need to pay attention to make sure spending doesn’t get out of control. 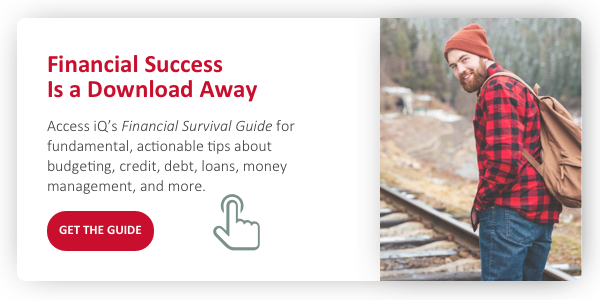 With the right planning, you can have a truly joyous (and debt-free) holiday season.